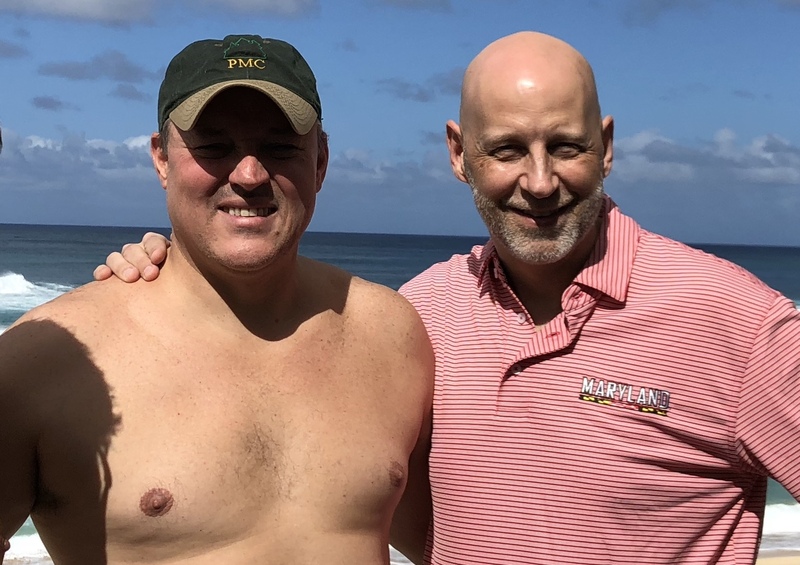 Lutz Braum: After finishing my gig as CMO of Higher One (a $200M FinTech company in CT that we sold to a bank) my wife Jane and I decided this summer to relocate to the DC area to live and find my next opportunity (and to never move again, after having moved 22 times in my life). 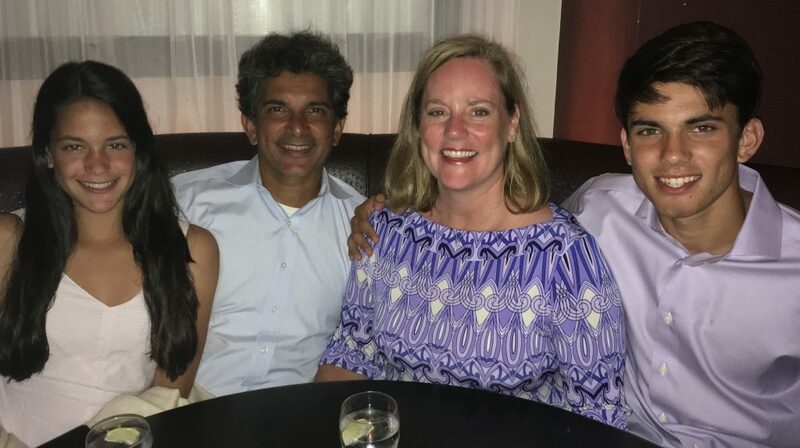 We settled in Reston, VA and I am now head of Marketing and Business Development for MPOWER Financing, another promising FinTech company that helps international students finance their studies in the US. Neil Price: I have been working in the Business Development area for Eli Lilly for the last 10 years, working on buying/licensing some interesting technologies for the future; meaning they’ll play out over the 2020’s and even 2030’s. Overall has been very satisfying and interesting …. Going to Wharton certainly helped open up this type of opportunity for me. However, big news for us this year is that I took the Voluntary Early Retirement Program from Eli Lilly and so yesterday 12/31/17 was my last day of employment after 26.5 years. So waking up today 1/1/18 with lots of emotions and excitement about what 2018 can bring. Having only worked for a couple of large blue chip companies this is new territory for me and Tri, but we’ll have fun working things out over the next few weeks. Only definite plan at the moment is to sell up here in Indianapolis and move to the Seattle area by the middle of the year…. This is where our daughter and family live. Steven Pinsky: I am pleased to announce that Gayle and I just made our last 2 college tuition payments with the boys graduating this Spring. As for me, after helping New Mountain Capital acquire Topix Pharmaceuticals, I was honored to become the CFO almost 18 months ago. We design, manufacture and distribute skin care products primarily through the Dermatological channel as well as offering high end formulation and contract manufacturing services. (We are looking for acquisitions.) I also joined the Advisory Board for the Georgia Tech School of Mechanical Engineering. Looking forward to catching up with many of you in the coming year. Kim Mathew: I’m running a small family office in Westport and looking to invest in US business opportunities run by people I know personally. I have invested in biotech, film and ETF companies in the last year and hoping our Wharton network continues to have entrepreneurial DNA! Kacey Carpenter: Happy New Year! 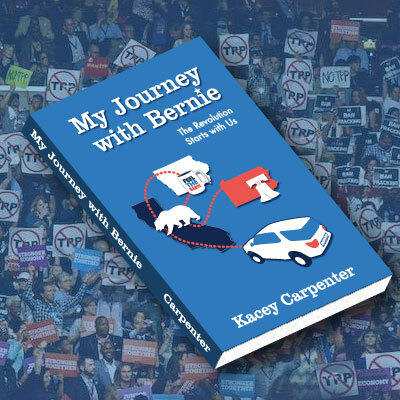 2017 was a very exciting year with retirement from Cisco, our family vacation in Maine, 2 college graduations, and publishing my book, My Journey with Bernie. 2018 will be busy with trips to San Diego for the California Democratic Party convention, Philly for Haverford college graduation, and my book tour around the country. My journey continues! Chris Malone: I’ve had a busy year of rewarding collaborations with WG’91 classmates. In April, Alan Gilbert joined me as an investor and board member in a beverage technology company with patents that will revolutionize the coffee industry. In June, Bruce Gretz and I helped recruit plaintiffs in western Pennsylvania for a recently successful legal challenge to the state’s gerrymandered congressional districts. Then with the help of classmates Deryl Eastman, Sauro Nicli, Federico Ramos, Alan Gilbert, Michael Luxenberg, Heather Potters, Monica Richter, Randi Roy, Lisa Harkness and Kathy Stine, we were able to get a single mother and her three kids back into their fire damaged (and uninsured) home just in time for Christmas. Also, just returned from my annual surfing trip to Hawaii with Miguel Osio. Regrettably, we witnessed both the false missile attack alert as well as the tragic death of another surfer in front of the house we were renting. Hoping for more fun with classmates in 2018! Edward Okine: Our daughter Michelle is graduating high school this spring and will be heading to college this fall. She is waiting to hear from Wharton Admission. Francis, our son, is a sophomore in high school and a lineman on the football team. My dear wife, Yvette, takes care of our family and volunteers at a few non-profits. I am still in the hedge fund business.